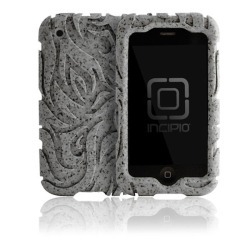 There's no doubt that the Tribal Regrind Eco Case from Incipio is the coolest looking iPhone case that we have seen. Best of all, this is as eco friendly as cases come as 20% of the materials made to create this case is from other recycled material from other Incipio products and the rest is from 100% recyclable material... very cool indeed. The first thing you will notice about the Tribal is the design which not only protects it from bumps, knocks and scratches but the textured design allowed for added grip. Of course, all the buttons and controls of the iPhone are still accessible. 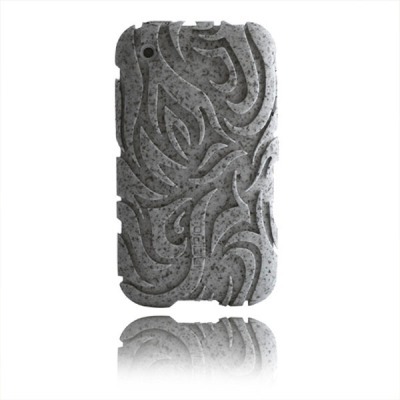 It should be noted that this device is compatible with both the 3G and 3GS iPhones and comes in a very chic granite colour. The installation was of the Tribal was simplicity at its best and all you need to do is basically slide your iPhone into the case and presto, you're ready and more specifically, your investment is almost totally protected. Although it does add some weight to your iPhone, after awhile, this becomes a thing of the past. 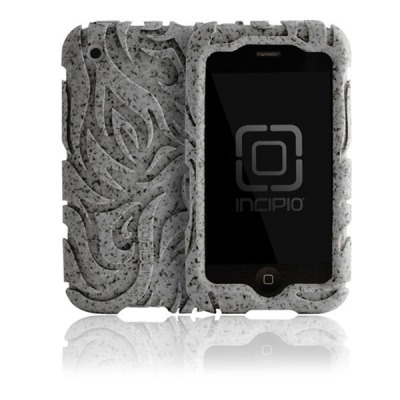 In conclusion, Incipio's Tribal Regrind Eco Case for the iPhone is ideal for those who want to look a little different from those standard iPhone cases or those wishing to be eco friendly, than it's ideal for those wanting to go green or just want to look cool Recommended! Taking "Green" a step further using 20% recycled materials from other Incipio products. Use of recycled materials gives each case a unique texture. High density silicone provides superior shock protection.